Save Time & Money when you Decorate with a Kopykake Turntable. Decorating with one hand while holding and spinning the cake with the other is a hassle. Now you can spin-a-cake easily or let the electric powered Karousel spin it for you. 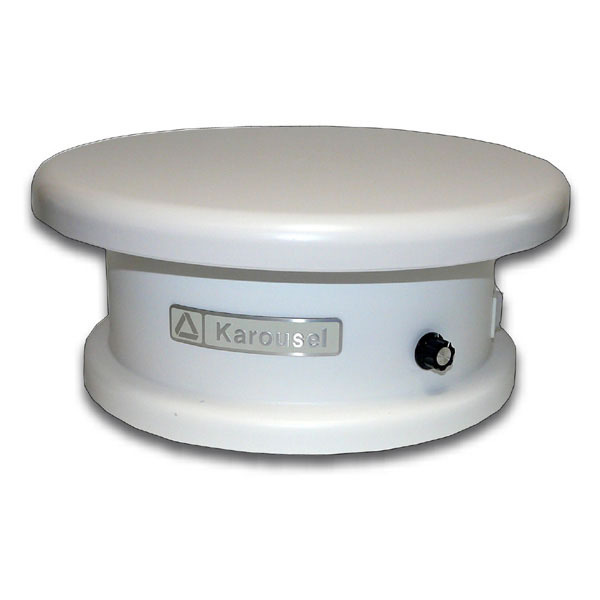 This electric Karousel Turntable has a variable speed control allowing your decorator to set the rotation speed from 0rpm to 10rpm. The Karousel features a bi-directional switch which accommodates both right and left-handed decorators and the unique free spinning ball bearing system allows the decorator to stop and spin the turntable manually while the motor is running. It is sturdy enough to handle event the largest of cakes (up to 100 lbs or 50kg) and is perfect for displaying products in your store window or at events. 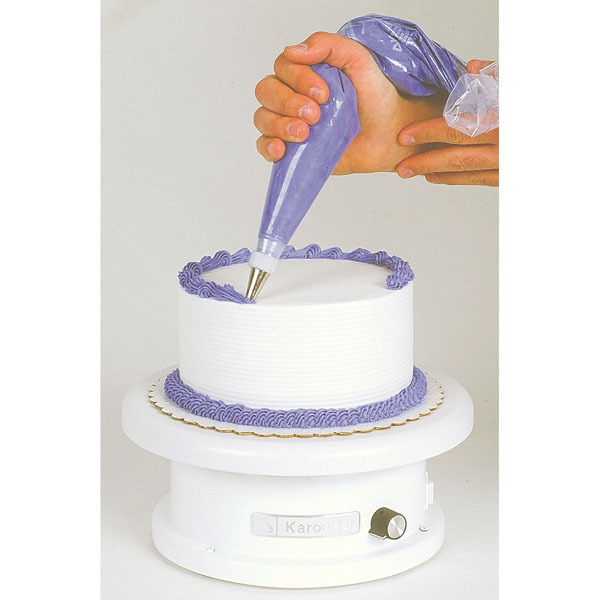 Rotates your cake while you decorate so you don’t loose your rhythm. 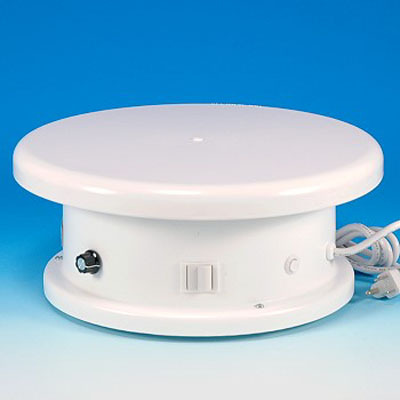 Great for Left or Right handed decorators - spins in either direction.